The crew of Saila is ready to give you an unforgettable time aboard! Everyone is unique. That’s why no sailing trip at Saila Sailing is the same. We tune everything to the wishes and sailing experience of our guests. This personal approach is in our genes. Hans greatly enjoys being on the water. The freedom to go where the wind and tide bring you is something he wants to share with the guests. Hans is the expert aboard about sailing, the weather and destinations. He likes to have real contact and a good talk, but completely understands if you want to enjoy the view, the nature and the water in silence. Beside his work as a skipper, Hans is a professional filmmaker and photographer. He has numerous colourful stories about his travels for shooting television programmes and corporate films. Hans greatly enjoys to step aboard Saila after some hectic days of filming. As the skipper of Saila Hans bears the responsibility for the safety aboard. He has all the documents for safety precautions (such as the VHF radio and EPIRB). Hans always has the final word since he bears the final responsibility concerning the weather and well-being of the guests. Lilias regularly sails along as the second crew member. Lilias is a people person and enjoys to make things very comfortable for the guests. Futhermore, she is great with children and – according to Hans and her children – is an excellent cook. Lilias likes meeting new people, and guests immediately feel at ease with her aboard. 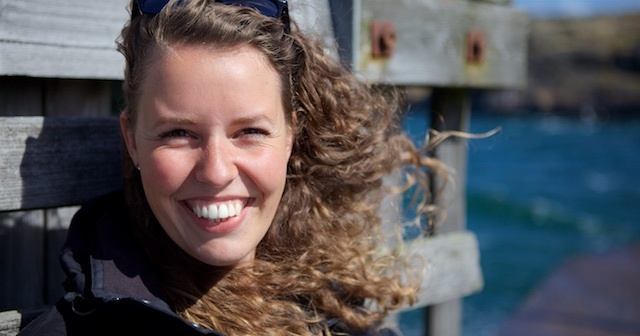 As a crew member, Nienke has made a fair share of long trips on Saila. She’s always in for a good conversation and together with her father (skipper Hans) she sails to any place. During longer trips her organisational talents are a welcome addition to the team. It’s always nice to have her join the crew. Bram is our youngest crew member, but he very well holds his ground. When the wind freshens, he does not shrink his work. His parents suspect he is infected with the sailing virus. Bram loves photography, some of the photos on this website are made by him.